Time for another review on my men’s fashion blog, only this time it is something a little bit unique. 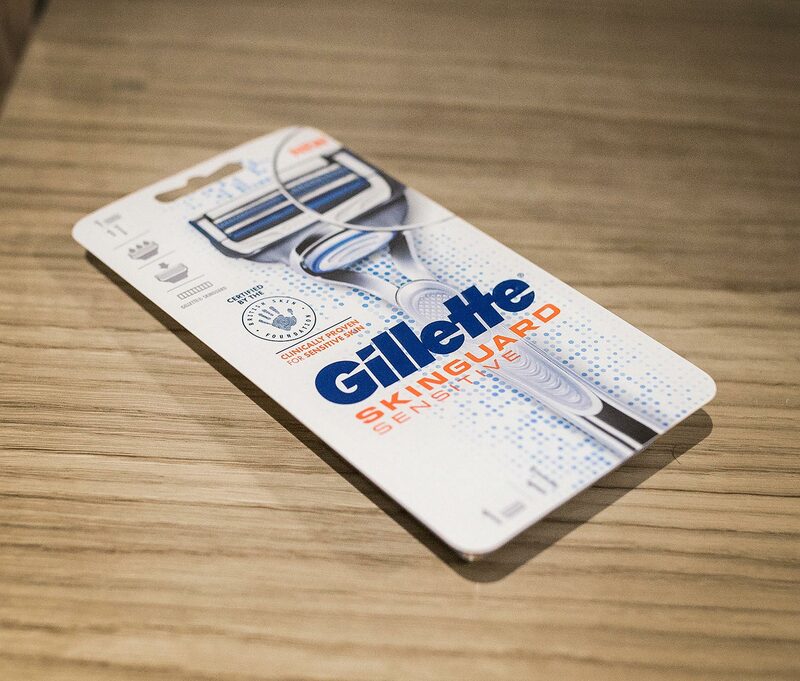 I have teamed up with Gillette to test out their brand new razor – Gillette SkinGuard Sensitive. 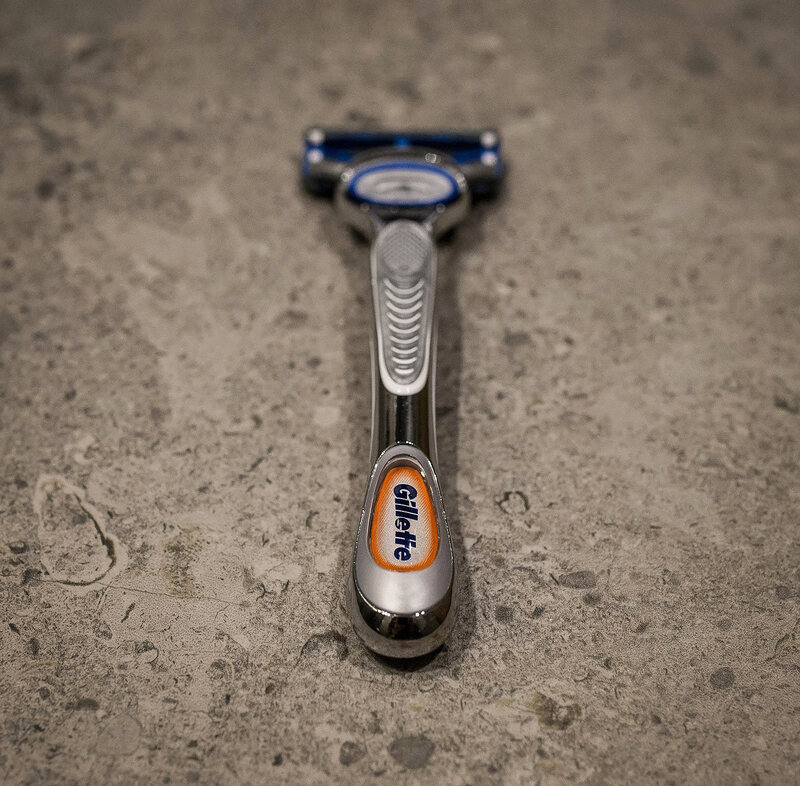 Read on further to discover if it provides the best shave yet! As well as this review offering something different to my readers, it is also a massive change in my appearance too. It has been many years since I have gone clean shaven, even when I was younger I always opted for that 2-3 day stubble look, but as the years passed I began to let it grow longer and longer before keeping it in check with a trim. Finally removing all of my facial hair after a large amount of time was also a big surprise for me when I looked in the mirror! It will surely be a new look for me on my blog too, with my future outfits and posts showcasing me sans-facial hair. Before we take a closer look at the Gillette SkinGuard Sensitive Razor in my review, let’s find out more about its backstory and features. This latest release from Gillette has been created specifically to stop any skin irritation that many men with sensitive skin experience, combating that tell-tale visible sign of redness and dry skin after their shave. Through a survey commissioned by Gillette, they found that 33% of men have concluded that they have sensitive skin, whilst almost half of the men consider redness to be an indicator of a delicate skin reaction. Sensitive skin is something which so many men deal with on a daily basis, yet it is something which is rarely talked about. 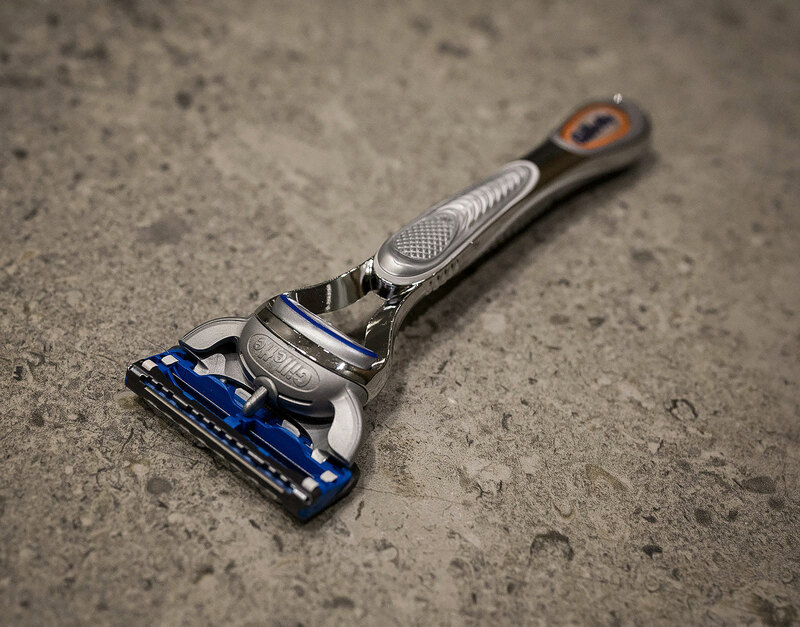 Some men have attempted to alleviate the problem in different ways, out of those surveyed 44% have tried to shave less for a reduction in irritation (but under a quarter discovered that this was ineffective). It seems one of the most common ways to try and reduce irritation was to use hot water during a shave, around 50% off those who participated have used this method, unfortunately only 12% found that this helped the issue. This quote from Dr Walayat Hussain, Consultant Dermatologist and British Skin Foundation spokesperson, sums up the underlying issues of sensitive skin problems. 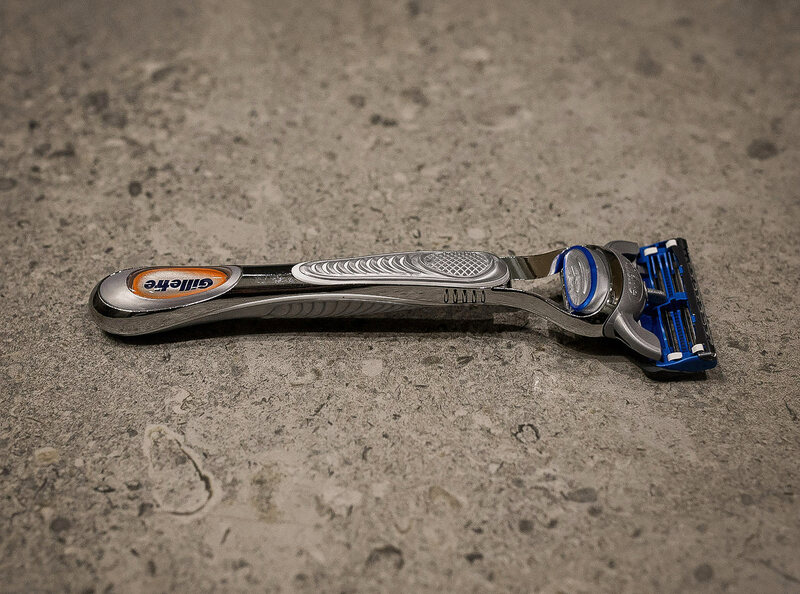 After finding out all this information, Gillette decided to take action and were determined to find a way to make skin irritation whilst shaving a thing of the past. 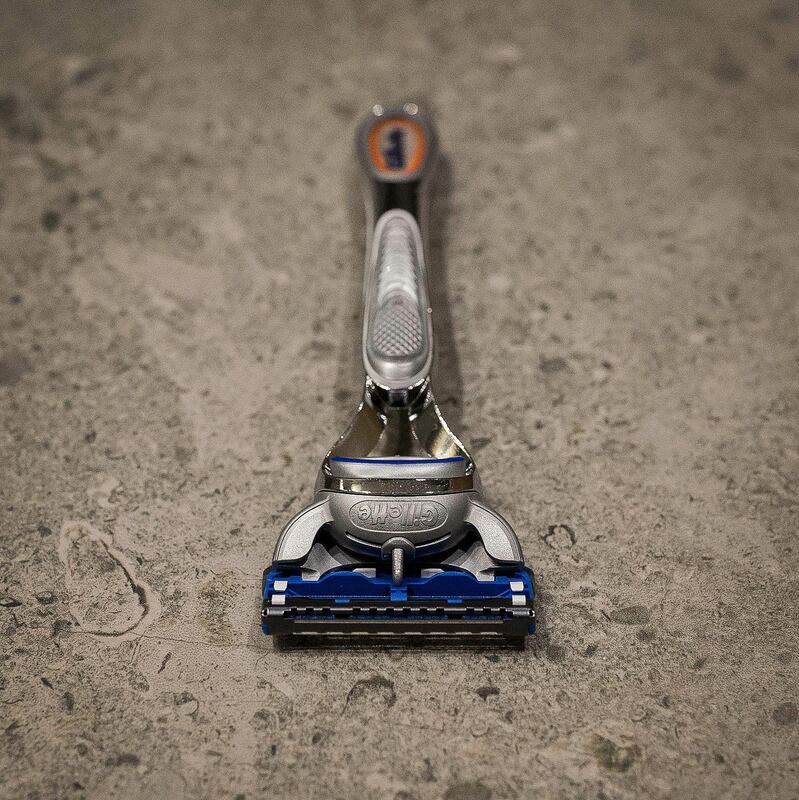 This is where their brand new product steps in from the shadows – The Gillette SkinGuard Sensitive. This new razor is a breakthrough in design technology, its SkinGuard comb features an advanced soft coating which has been specifically positioned between the sharpest Gillette blades. The location of the blades has been chosen so that the hair is only pulled and cut up to 2x with every stroke of the razor, which reduces the pulling and tugging effect. The majority of multi-bladed style razors use each of the individual blades to tug the hair out of the follicle, then whilst they are extended, proceeds to trim them away, once the blade passes by and the hair retracts, the hair will have been trimmed below the skin’s surface. 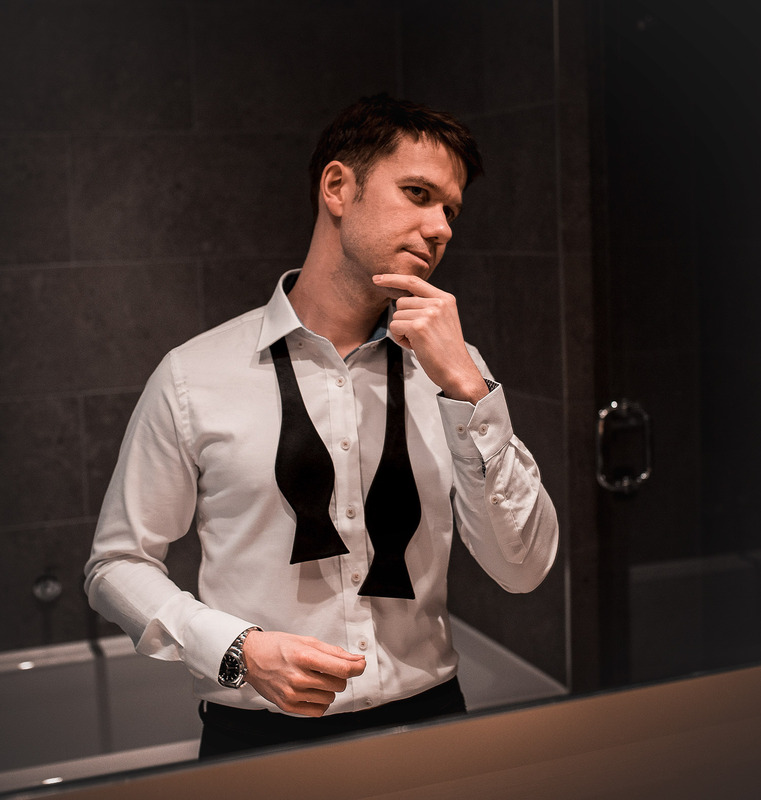 This is generally an optimal type of shave for most men, yet the continual pulling of the facial hairs can place a massive amount of pressure on the skin, which can only contribute to skin irritation. Even worse is the single blade razor types, which can cause a heavy amount of friction due to the sharp angle of the blade. This new world breaking Gillette SkinGuard Sensitive Razor has been created to stop this type of irritation for men with sensitive skin. This is not just a bold statement, it has been clinically proven and certified by the British Skincare Foundation (BSF). With this in mind, let’s take a look at a quote from Matt Thomas, Gillette and Gillette Venus Brand Manager, UK & Ireland. Hopefully, that information will help give you a little more history into the product and the issue with sensitive skin, now let’s move onto the review itself. As to be expected from one of the top shaving companies in the world, they never leave the design of their products to chance. First impressions are one of the most important factors in nearly everything in life, the look of your shaver is no different, you want to pick it up and admire its shape each morning before completing that task in hand. 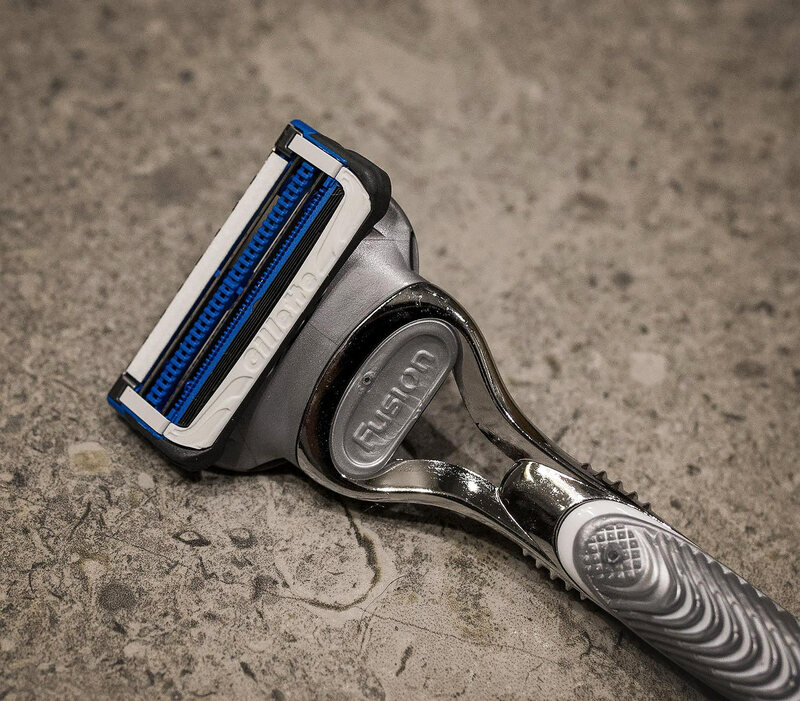 The Gillette SkinGuard Sensitive is definitely no slouch, boasting an exemplary design which features sleek and smooth edges with beautiful curves all wrapped up together with an essence of futuristic flair. They have chosen the typical manly colour scheme of dark blue and shining silver, this combination is altogether very modern yet also timeless. Whenever you see a new release from Gillette, it always stands head and shoulders above its competitors. In comparison it often reminds me of the difference between an Italian sports car and a functional family saloon, other shavers may still get you from A to B (or in this case, from beard to shaved) but they rarely look good during the journey. The Gillette SkinGuard Sensitive is certainly top of its game in this department and it cannot be anything other than full marks for design. I consider myself an amateur shaver at best, with so much time passing since I last took a blade anywhere near my facial hair! As such, I fully anticipated a minor bloodbath at the very least, with arbitrarily positioned cuts all over my face and neck (which frequently happened when I used to shave in the past). However, none of this happened at all, the Gillette SkinGuard Sensitive shaver is astonishingly good at living up to its bold statements of providing the most comfortable shave experience, so much so that even a shaving novice like myself can enjoy a smooth, irritation free shave from the very first go. Because of the positive result after my first shave, I was eager to give it a second test the following day, hoping it wasn’t a fluke! Once again, my follow up grooming escapade gave me an equally comfort filled shave with no issues whatsoever. In fact, over the course of the following two weeks in which I shaved every day before I began writing this review, each daily shave was just as remarkable as that very first encounter. 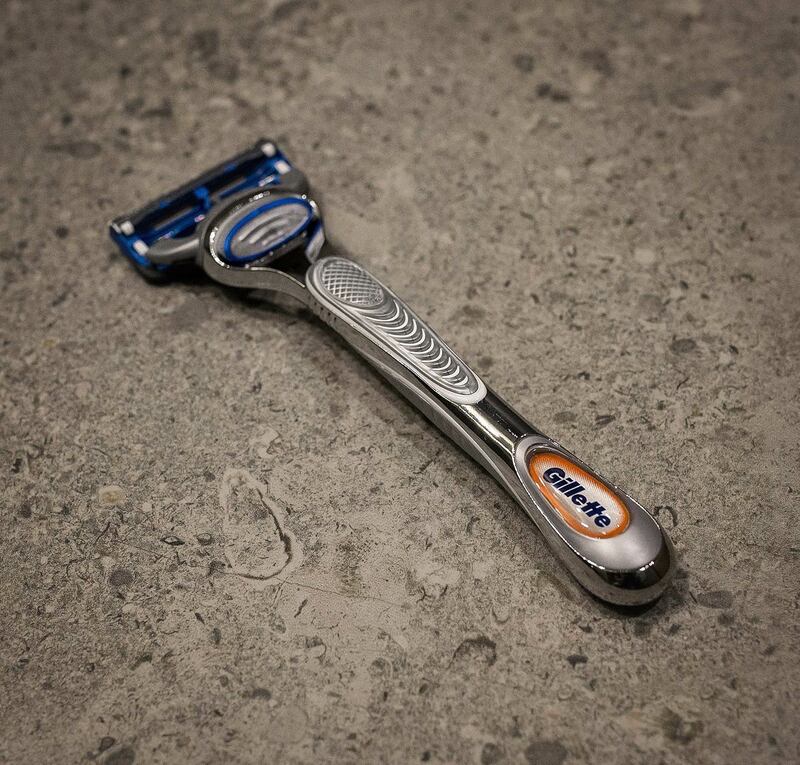 Overall Gillette has excelled itself with this latest release in terms of comfort. As soon as you place the blade against your skin and begin to slide it down your face, it is a smooth action, at no point did the razor get stuck or caught in any difficult sections (which was all too common when I used to previously shave). I was actually slightly worried and anxious when I began my first shave in years, so the ease at which I could comfortably trim my facial hair gave me a huge amount of relief and satisfaction. The shave was also very close to my skin, with the positioning of the blades optimally removing even the awkwardly positioned hairs from my face and neck. 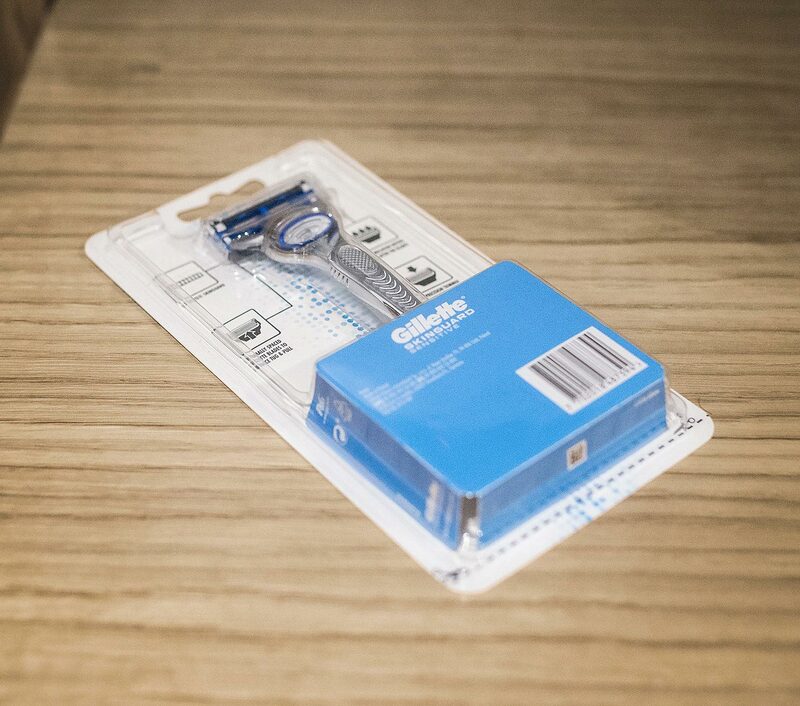 During the course of a normal shave routine you will undoubtedly trap a few pieces of excess hair between the blades, from past experiences this can sometimes be quite troublesome to remove easily, but with the Gillette SkinGuard Sensitive it only took a couple of seconds under the tap to shift any stubborn strands without too much trouble, another bonus! From start to finish the whole process was a simple affair, which is exactly what you want from something many men will do repeatedly throughout the course of a week. With such high marks for the design of the product, it is only natural that the packaging would continue along the same path. Sleek, modern and functional with eye-catching branding and colouring, potential customers will be instantly drawn to the shaver and know exactly what it offers with ease. One thing worth mentioning, I always get concerned when I see these types of plastic packages and the hunt for a pair of scissors to allow you to gain access to the contents. Thankfully, those days are long behind us, you can safely remove the shaver from the packaging with little trouble, all with your hands and no need for any additional tools! Many shavers are all at a similar price point unless you are going to risk a potential massacre with those budget throwaway multi-packs! However, the Gillette SkinGuard Sensitive is marked at a very reasonable RRP. Considering its high quality in every department, I believe that it is definitely worth the cost. Thanks to Gillette, my first shaving experience in years was thoroughly enjoyable, in fact, I’ve finally got closure on the uncomfortable encounters I regularly found myself in when I used to opt for a clean shaven look all those years ago. If a shaving tool like this was readily available when I decided to grow my stubbled bearded look, then just maybe I would have even stayed clean shaved! 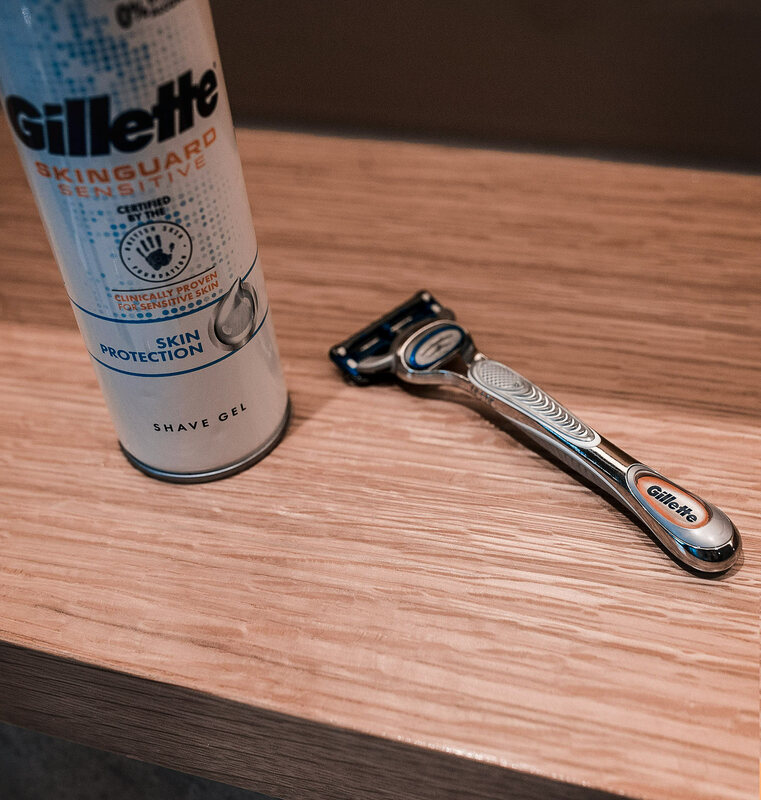 The Gillette SkinGuard Sensitive is undoubtedly a quality product, offering an unbeatable close shave for the countless men who suffer each day with sensitive skin when shaving. 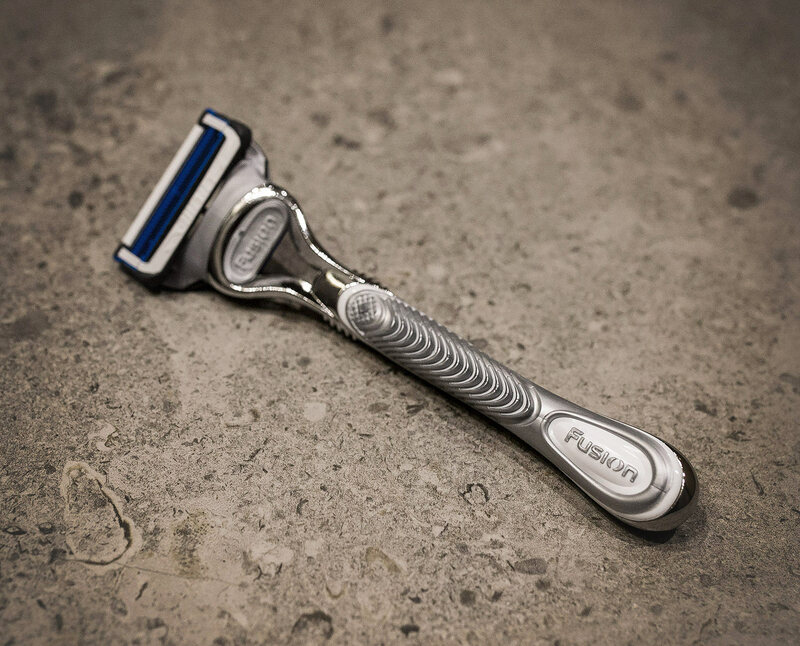 Equally user-friendly to shaving veterans and newcomers alike, all wrapped up in a flawlessly modern design. 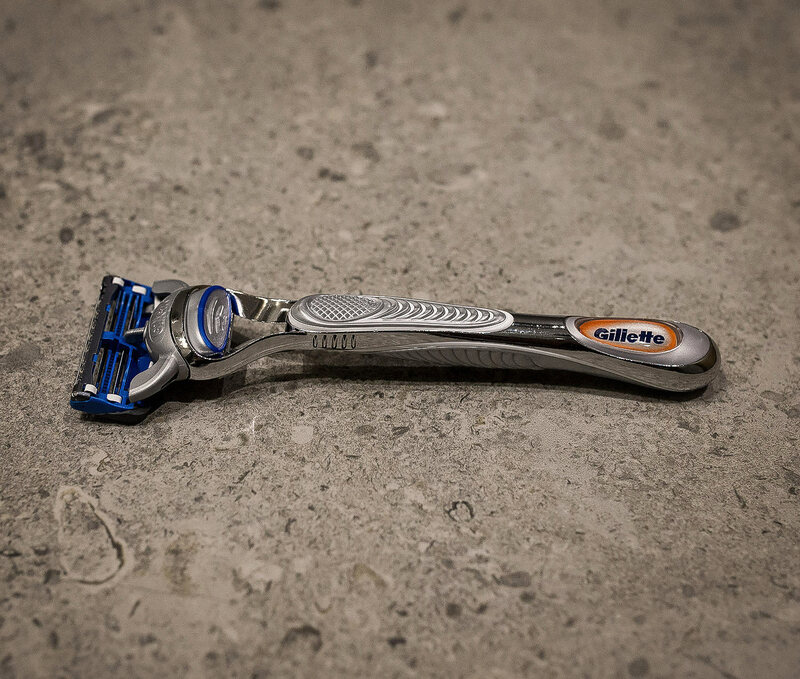 What do you think of this new release from Gillette? Do you suffer from sensitive skin and would be looking at trying it out? Please let me know in the comments below! Thanks for this awesome review! I need to to share this with my hubby and sons. Their commercials have been everywhere lately. Glad you like the review Kathrine! It’s a really impressive razor. 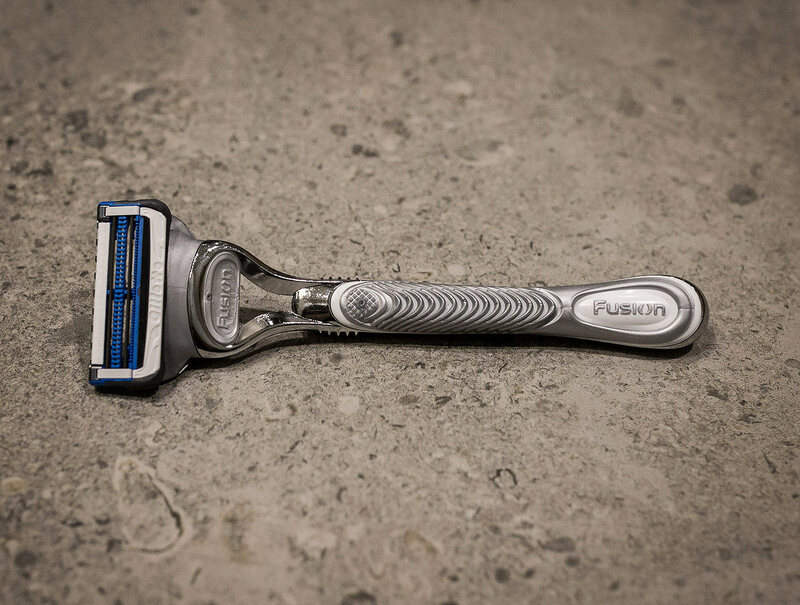 This razor sounds great, I’ll have to pick one up for my hubby! Thanks Jessica! It really is great for those with sensitive skin! It’s a comfortable shave. I don’t think it gets as close as the Proshield or Proglide. I like the color scheme and how they got rid of the Flexball technology, I don’t think it made that big of a difference. Thanks for sharing your views on it, Greg! This one is the sensitive which is designed not to pull the hairs too much (it’s why it has less blades) which causes irritation, which might be why it doesn’t seem as close. Glad you like my review Missy, it has definitely changed my opinion on razors! This brand of razors is so popular. A lot of guys tend to love it! They do, you can’t go wrong! I’m a wet shaver. I use a brush, shave cream and a mild DE razor. I get great smooth shaves but experience redness and occasional razor bumps around my chin and corners of my mouth which are sensitive areas. Think I’ll give this razor a shot and see if it makes a difference in these sensitive areas.